Tandem Ride-on Roller Rental – Bomag 900-50, available for rent. 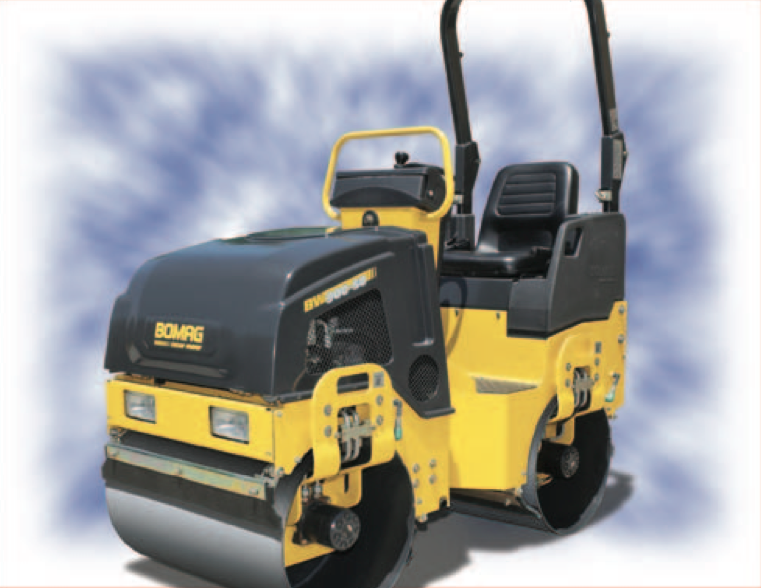 With an operating weight of 2,639 pounds, the tandem vibratory roller has a top speed (with vibration ) of 2.5 MPH. For transport, the roller has a top speed of 5.4 MPH. The macjhine offers clear operation and indicator controls and ergonomic steering for comfort. The foldable ride-on-protection system offers flexibility for transport and storage. Notable features: hydrostatic travel & vibration drives, front drum vibration, bolt-on oscillating / articulation joint.